Reykjavik, Iceland is not like most European cities. First, it is only about 300,000 people. Second, its airport isn’t even in Reykjavik – its in Keflavik, Iceland about 1 hour (52 kilometers) away. There are really only two ways to get there – a ridiculously expensive taxi ride or the Reykjavik FlyBus operated by Reykjavik Excursions. The FlyBus is a fiasco. Taking the FlyBus into Reykjavik from the Keflavik airport takes a load of faith. There’s no set schedule. And there’s a good reason why: the company organizes the bus to maximize profits. And this can leave you waiting for a very long time. 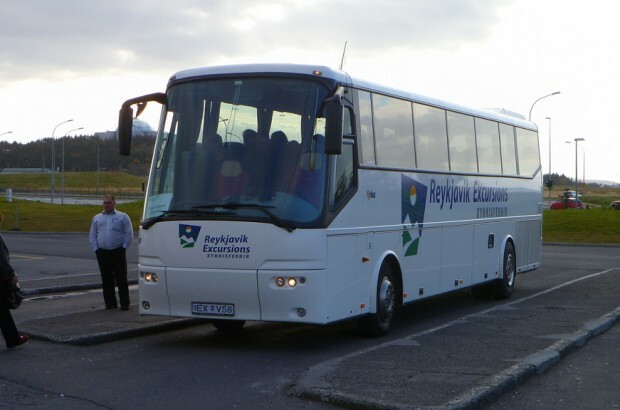 The company, Reykjavik Excursions, claims that the Flybus leaves Keflavik airport after every arriving flight, approximately 35-40 minutes after an arriving flight. In our experience, there weren’t many people who signed up for the FlyBus, so they just kept holding the bus…and holding the bus…and holding the bus. So, we didn’t leave Keflavik until 2 hours and 10 minutes after the flight landed. They kept telling us (the five of us waiting on the big bus) that it would leave shortly. Now, if the company kept to their process (and what is published on their slickly produced website and marketing materials), there should have been 3-4 buses in the time where none actually went. In our experience, when the giant bus finally did go, there were only 5 really upset people on the bus. Put simply, Reykjavik Excursions held the bus for over 2 hours hoping to get more paying passengers before finally letting the bus leave the airport. Reykjavik Excursions didn’t make much money on that trip, and they were all tourists. I can only assume that locals know better than to take the Reykjavik Excursions Flybus. Now, truth in disclosure, the FlyBus from the hotel to the airport was better. It was absolutely packed – 100% of the seats filled…and the bus went on time. As a country, Iceland is working hard to boost tourism. They have a new slick “Inspired by Iceland” advertising campaign, and we thoroughly enjoyed our 10 days in Iceland. However, travelers generally expect a certain level of infrastructure. And this is especially true in Europe. Having reliable and timely transportation from the city center to the airport is one of those things. If Iceland wants to boost tourism it would benefit them to have reliable and economical airport service. And the Reykjavik Excursions Flybus in Iceland is not it. Travelers to Iceland have few options to get from the airport into Reykjavik. But they should be warned that there’s a good chance of them being stranded at the airport for an extended period of time. Travelers should allow plenty of extra time and not assume the FlyBus will run as promised. 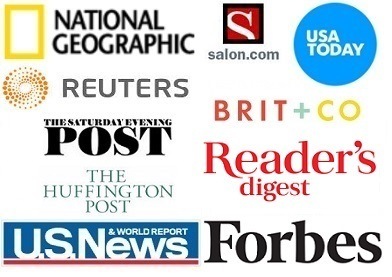 We would strongly encourage travelers to investigate other options. Note: As of 2016, it doesn’t seem that the Reykjavik Excursions Flybus experience has improved. We found this article on The Pickup Pickle and the Dramas of Drop Off with the Flybus. And in 2018, there is a lengthy thread in a popular travel forum site discussing the nearly identical problem we faced. The Flybus takes you from the Keflavik airport to the Reykjavík BSÍ Bus terminal. Once the bus actually leaves the airport, the trip should take around 45 minutes. Cost is 2950 Icelandic Króna (~$28) one way and 5500 Iceland Krona (~$53) round trip. The Flybus+ takes you from the Keflavik airport to the Reykjavík BSÍ Bus terminal, where you will switch from the big bus onto small mini-buses to be taken directly to your hotel. Once the bus actually leaves the airport, the trip should take around 45 minutes. The mini-buses also don’t operate on a set schedule and the whole system is a bit disorganized. The layover at the bus terminal is around 10 minutes. On the mini-bus, you should allow 10-30 minutes to reach your specific hotel (depending on when you will get dropped off). Cost is 3950 Icelandic Króna (~$38) one way. If you insist on traveling on the Flybus, we would strongly encourage you to purchase your tickets through a third-party consolidator, where you have some recourse when things go wrong. Large companies like Viator that re-sell Flybus tickets have more buying power than you do individually and Viator has a generous policy when things go wrong. You can buy Flybus tickets on Viator here. Note: If you want to be assured of reliable transportation in Iceland and you will be exploring the region around the capital (such as the Golden Circle), we strongly recommend renting a car and driving yourself. Creative Commons photo credits: Top two images from A. Currell (both per CC 2.0) and final image from Smcgee (CC 2.0). What do you think about The Reykjavik FlyBus Fiasco? Iceland Excursions – thank you for posting! I think competition is a valuable thing and am happy to learn that there are other options to get from KEF into Reykjavik! My name is Þórarinn and I am the Sales & Marketing Manager for Reykjavik Excursions. I stumbled upon your blog and I would like to kindly ask you when you were travelling as I would like to investigate why you had to wait such a long time for the transfer. Our policy and instructions to our staff is that under no circumstances should a bus leave later than 40 minutes after landing. If our staff are not operating the Flybus from Keflavik International Airport according to our policy we need to investigate and change the operation accordingly. Could you be so kind to send me an e-mail with your travel date and flight number so I can find out what went wrong. however they sell tickets operated by other companies. Thank you for contacting us regarding our experience with your company and your FlyBus service. Our day of travel with the FlyBus was: August 27, 2010. Flight arrival was scheduled for 22:20, but arrived 20 minutes early 22:00. We were told the bus would leave at 23:15 (which is clearly more than 40 minutes after the flight landed). However, the FlyBus did not actually depart KEF until 00:05 (which means the bus didn’t even actually leave KEF until August 28, 2010). I have to admit, our experience with your company was not positive. 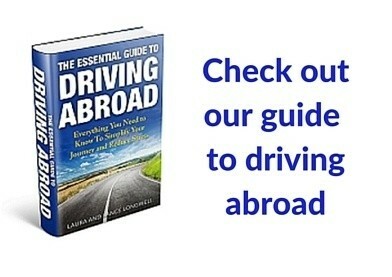 As is evidenced by our blog, we are experienced travelers and have been around the world many times. I can think of few experiences we’ve had that were as bad as the FlyBus. We’ve utilized bus transfer services at airports all over the world, and never found a company like Reykjavik Excursions. It is possible to operate a bus service on an actual schedule. You publish a schedule from Reykjavik to KEF. Why not from KEF to Reykjavik????? This way, travelers would be able to depend on your service. As it is, the FlyBus is unreliable. We believe that for tourism to flourish in Iceland, the country needs reliable transfers from KEF to the city of Reykjavik. The FlyBus service is unreliable. We hope that competition will improve the experience for future travelers. We have just returned from Reykjavic. I read your comments prior to our departure and was concerned, however I need not have been. A Flybus was waiting on arrival. Noticing that we were uncertain a Reykjavic Excursions driver quietly told us we should simply put our luggage in the coach hold and then board. It left in good time. We changed to a smaller bus at the BSI terminal (all of which was explained) and we were delivered to our hotel comfortably, efficiently and politely. We took a Blue Lagoon trip with Reykjavic Excursions and were collected from our hotel at the time given and returned promptly too. A smaller bus collected us on time for our return to Keflavik, picked up at other hotels and delivered everyone to the BSI terminal for the larger coach to the airport. We knew that Keflavik airport was some distance from Reykjavik itself before we went because we had read the information freely available online before our trip. We would highly recommend Reykjavik Excursions and the Flybus without hesitation based on our experience. Thanks for your comment and am happy to hear you had a positive experience on the FlyBus (our trip to the airport was much better as well). I still don’t understand why FlyBus refuses to operate on actual schedule from KEF to Reykjavik. They do it the other way around, so why not? The service is unreliable. That may work. Although, if you have a day and you’re 2 or more people, why not just rent a car? You can see the Golden Circle, Blue Lagoon and Reykjavik at your own speed!